This essential WordPress plugin list gives you an advantage over your competitor. Attributes emphasized by this plugins does not only enhance productivity, it improves your blogging skills and deliver more result. Auto Tagger – Automatically finds tags based on your articles content. Autoposters plugins package – automatically posts products descriptions with reviews from famous Amazon stores. Your visitors also have the opportunity to post their own reviews. Laconica. On site used autoposting plugin to service like twitter.com – Laconica which allow post links with open direct links (not shorten by famous services). Laconica give possibility for great auto promotion your site. Unique Article Wizard Control Panel. On site special software, Unique Article Wizard Control Panel allows you to receive everyday unique new post & images related articles from writers/posters from around the world. Cache plugin for caching dynamically created pages and save them to static pages. For fast browsing by your visitors. Deleted Duplicated Posts – regularly deletes duplicates. Featured Content Gallery – This plugin will creates an automated rotating image gallery anywhere within your website. Featured Posts Slideshow – allow you feature promotion products or best post or tutorials. Google XML Sitemaps – special plugin will generate a sitemaps.org compatible sitemap of your WordPress blog which is supported by Ask.com, Google, MSN Search and YAHOO. Tweet Meme – On site also installed plugin which allow your visitors submit articles to popular service TweetMeme.com. It’ll bring more new visitors and great indexing your site by search engines. Related Posts Plugin – gives on every Page a list of post pages related to the current entry, introducing the reader to other relevant content on your site. SEO Friendly hidden Affiliates URLs – This hides your affiliate links and makes it pleasant. Smart YouTube, Insert YouTube videos in posts, comments and RSS feeds with ease and full customization. Social bookmarking widget – Automatically add links on your posts, pages and RSS feed to your favourite social bookmarking sites. Look under content of articles. There you can find Share this post! & Print Article. Transposh translator – This is an automatic Website Translator to 53 languages (Francais, Japan, Italian, Portuguese, Russian and other). Transposh translation filter for WordPress offers a unique approach to blog translation. It allows your blog to combine automatic translation with human translation aided by your users with an easy to use in-context interface. 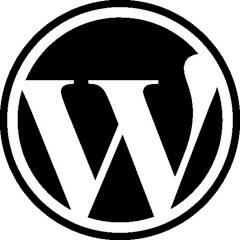 WP to Twitter – special plugin allows you to automatically post links of your new articles to your twitter account. WP-o-Matic Publishing Script – auto update site with new fresh content on autopilot based on content from any RSS-feeds.